Situated on northwestern part of Peljesac peninsula, immediately opposite to old town of Korcula, Orebic is townlet where modern tourist offer meets original unspoiled nature of Peljesac - one of rare localities on Adriatic coast where you will really experience real meaning of Croatian official tourist tag line: Mediterranean as it was. 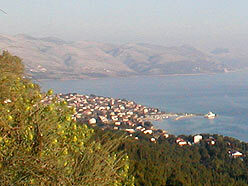 Orebic is town of natural beauty of crystal clean sea opposing raw beauty of St. Elliah mountain (961 m), which dominates the landscape. Here you will find the beauty of Mediterranean vegetation - hundred years old pines, cypress trees and agavas - all you can enjoy using one of marked walking paths. St. Elliah also provides a possibility for hunting - among other - famous chamois, some of them capital exemplars of the species. Here you will find a part of rich Orebic historical heritage - Franciscan monastery from 15th. century. Situated at the 150 m above sea level, this cultural and historical monument offers extraordinary architectural beauty, art collection exhibition and beautiful view on Orebic, Korcula an surrounding area. 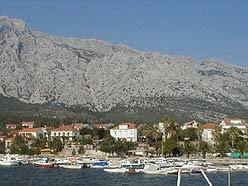 As Orebic was town of rich maritime tradition, sailors and captains during centuries - large part of it's historical heritage is kept by Maritime museum, another sight worth seeing. With numerous restaurants, cafe bars and clubs, and other tourist offers, you will complete your experience of Peljesac with gourmet specialties of this area: fish, game, Mediterranean vegetables and world famous Peljesac wines - among others Dingac and Postup. Vine growing areas of Peljesac are also very interesting, and you can visit them with us during your stay in our home.